The Minnesota Vikings all-time leading rusher, Adrian Peterson, after what seemed like forever, has finally landed with another NFL team — but despite his many contributions to the Minnesota football community, few fans in the Land of 10,000 Lakes actually care. 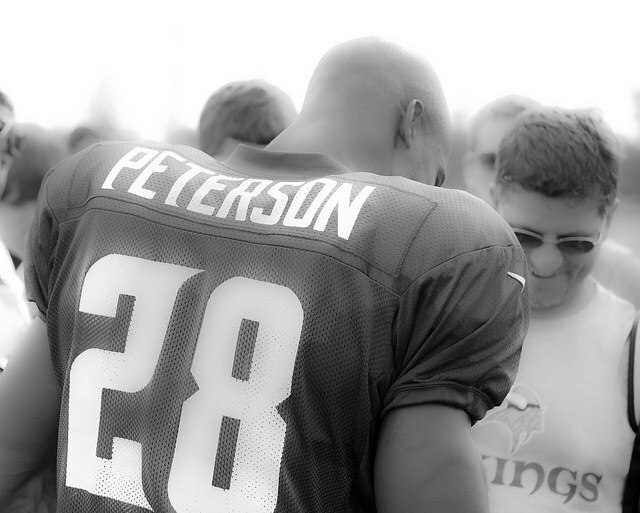 And I once considered myself one of Adrian Peterson’s biggest fans — I couldn’t care less that he’s gone. After months of sitting as a free agent, the aging Peterson finally inked a deal with the (still hated) New Orleans Saints. For an athlete to have such a huge impact on a community, but then to basically be told, “Don’t let the door hit you on the way out,” said athlete must have done plenty to alienate himself from said community. For starters, there was the whole child abuse scandal — no small event by any means. That made many in Minnesota and across the country root against him. And not just because of the act itself, but for Peterson’s blatant disregard to show almost any real remorse for his actions of beating a small child with a tree limb. The things he said and did in the media were almost as damaging to his character as the act of child abuse itself — that’s truly when I unhitched my wagon from the Peterson camp. In the years since that incident, Peterson has said and done more stupid things in the eyes of the public than rush for yards on a football field. 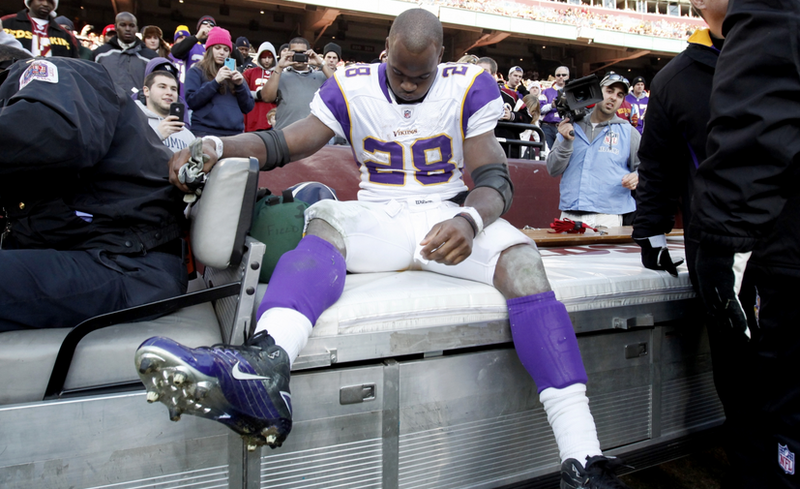 Child abuse, season-derailing injuries and one stupid remark after another have put him high on the totem pole for most disliked Minnesota sports stars. Even despite an injury-riddled 2016 campaign, resulting in 37 carries for a pathetic 72 rushing yards, Adrian and his “proud father” still ran their mouths in the media in the offseason about the Vikings organization. Adrian even went as far to say he “earned his way up to” the $18 million the Vikings owed him if they wanted him to play in purple for 2017. Well of course, being one of the best in his prime, he once deserved that kind of money. But $18 million for a 31 year-old, now oft-injured running back is ludicrous. But Adrian certainly did not see that — and fans could not fathom how a person could have so little self awareness, massive ego or not. So fans and the organization knew this breakup was coming — no team was giving Adrian anything close to $18 million a year. Many argued he’d be lucky to get $5 million (they were right). That in mind, Adrian was convinced a contender would steal him if he couldn’t get another big pay day, a Super Bowl bound team he’d take a “pay cut” for a chance at a ring. Adrian thought once the Vikings released him there would be teams clamoring over one another to get a chance to sign #28. But no such wooing happened. Adrian sat and watched far less decorated running backs land in destinations he thought himself worthy of — the fat version of Eddie Lacy got signed before the great Adrian Peterson. That’s what most would regard as, a wake up call. All these delusions and comments in the media made Minnesota fans like him even less. Well, fast forward to today. Adrian finally found a dance partner — but not for $18 million a year, nor $10 million, nor even $5 million — he signed a two year deal, worth $7 million ($3.5 million a year). Also worth noting, he signed with anything but a Super Bowl contender. When the schedule was announced last week, strangely enough (conspiracy theorists unite), it was revealed the Vikings host the New Orleans Saints on national television to open the 2017 season. Adrian’s first game in the NFL dressed in something besides purple, will be against the purple in Minneapolis. The story has been laid out and soon to be written. Eventually, time will heal these “wounds.” Fans will forget what a blockhead Adrian really was and remember all the great plays he made. But for now, good riddance. 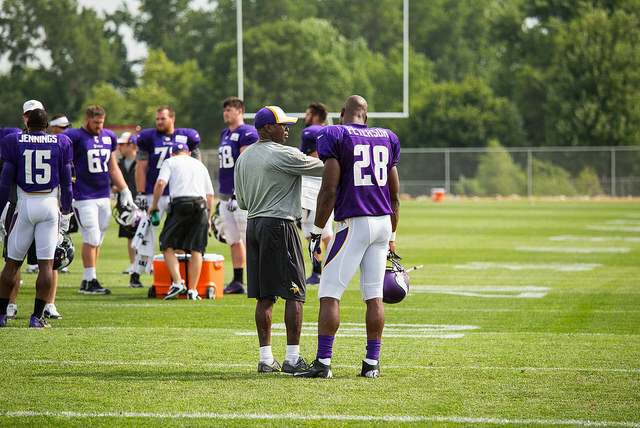 The team needs to move on from the one dimensional player that is Adrian Peterson. Now, go Adrian, fumble for the Saints in their most crucial moments of the season.